When Jade Solomon Curtis arrived in Seattle in 2012 to dance with Donald Byrd’s company, Spectrum, everyone who loves dance noticed. 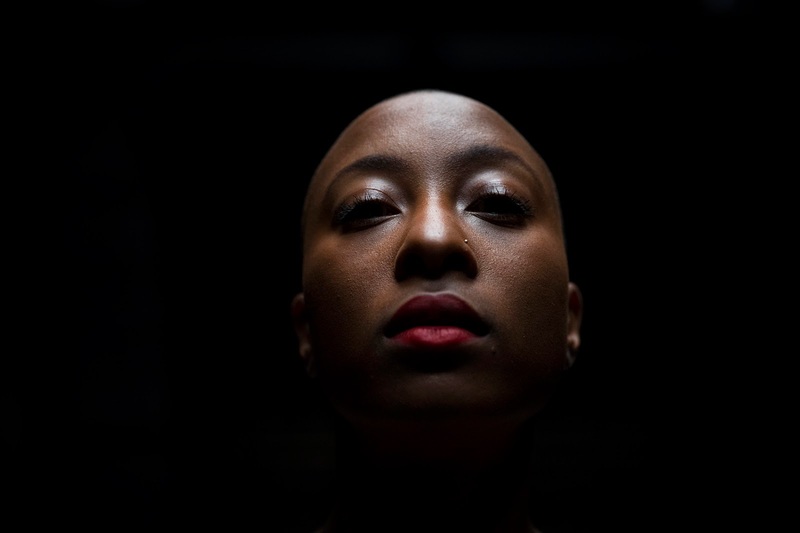 Curtis is, in her own words, a beautiful, bald, black woman. But more than that, she’s one of the most charismatic movers to hit Seattle stages. Curtis was in her mid-20’s when she got here, and she'd just landed her dream job. A dance major at Southern Methodist University, Curtis moved to New York not long after graduation, with two suitcases and $500 in savings from a restaurant job. What she did know is that she needed to dance. Curtis found work with choreographer Alison Chase, helping Chase build a company called Apogee. Then Donald Byrd came to town to audition dancers for Spectrum. Curtis knew his choreography; she'd taken a workshop from Byrd during college. She set her sights on joining his Seattle-based company. Apparently, the enthusiasm wasn't mutual. Curtis didn't make the cut. Which says something about her tenacity, and about Byrd's work. Often topical, and occasionally ferocious, his dances spoke to Curtis. Curtis was—and remains—a stunning dancer, and she earned critical accolades during her four years with Spectrum. Curtis wasn’t new to choreography; in high school she won a national competition and a scholarship sponsored by the NAACP. But she wasn’t ready at that point in her life to create work. Her time with Byrd provided both the inspiration and insight she needed. She says Byrd taught her to pursue her artistic visions without hesitation. 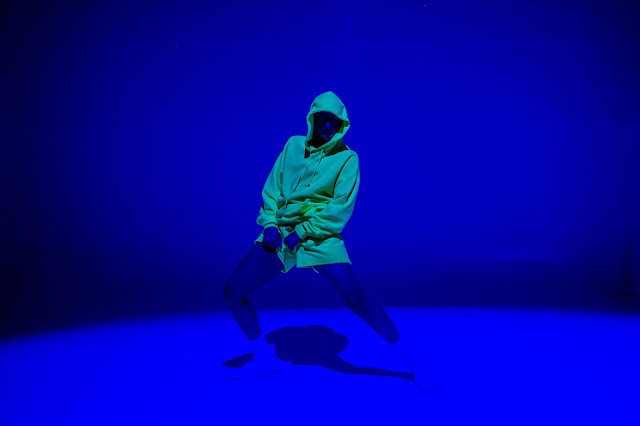 Jade Solomon Curtis in "Black Like Me"
Curtis freelanced for other choreographers, and she found work with the 5th Avenue Theatre. More importantly, she formed her own company: Solo Magic. Last spring Curtis premiered her first evening length work in Seattle, “Black Like Me,”inspired by an incident on Capitol Hill; somebody called her n****r.
“Yep, in white liberal Seattle,” she says matter-of-factly. "Black Like Me" addresses race and identity head on; all three performances sold out. Curtis was particularly satisfied that so many audience members stayed after the shows to talk about what they'd seen and how to address it in the world around them. “I understand a lot of us want to escape from the reality we’re in, and some art can provide that, but I don’t think that should be the primary focus,” Curtis explains. In mid-January, Curtis will be in New York for the annual APAP conference, the Association of Performing Arts Professionals. APAP is a place to showcase work to potential presenters. 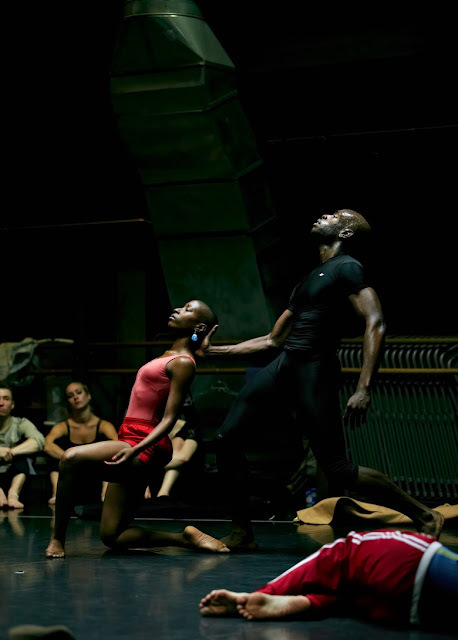 Curtis will perform excerpts from "Black Like Me." She’d like to tour it nation-wide, then present it again in Seattle. For now, Curtis, a Texas native raised in Florida, calls Seattle home. She says it's a great place for her to test out ideas during the dark, gray winter months. "This is one of the few places I can create and no one's watching. And I think that has a lot to do with the weather." She’ll bring out her new work when daylight returns, inviting people to experience it not so much as passive audience members, but as witnesses and collaborators in social change.